AAG Constructions, the Northern Beaches Builders who care about providing a quality building experience that gives you amazing results with the least hassle. 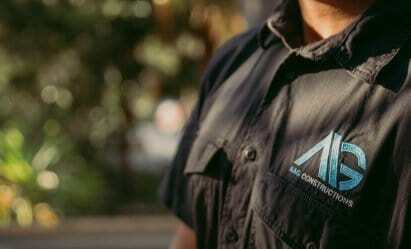 AAG Constructions is a leading residential building company on Sydney’s Northern Beaches, and it is through Adam’s passion for design, construction, problem-solving and excellent customer service that his company is set apart from the rest. Over the years, Adam has built strong relationships with a large network of architects & designers to help you create the perfect design tailored to fit your needs. Whether you have a design already, or you have only just entered into the design phase, the AAG team is here to help guide you on your building journey! We provide quality, experienced tradesmen who will work to your budget and specifications. We are a dedicated team committed to building your dream with eye for detail. Our approach will give you confidence. Your journey with us will be a happy one. 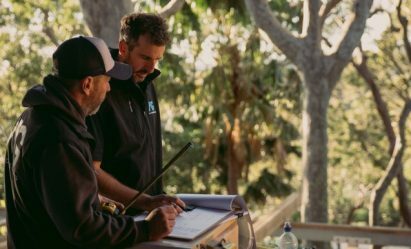 AAG Constructions was founded in 2011 by Adam Gabay, who had a vision to create an elite Northern Beaches building company with a difference. Adam is a highly sought-after builder with over 10 years experience in the industry and prides the company on providing a uniquely positive experience from start to finish. Adam achieved his trade qualification in Carpentry and Joinery in 2005. He immediately went on to complete a Cert IV in Residential Building and has been building on the Northern Beaches and North Shore of Sydney ever since. Ensuring reliable, open and honest regular communication throughout the build. Understanding the frustration that comes along with an unanswered phone call or an email that doesn’t receive a reply. The builder-client relationship is our primary focus at AAG Constructions and allows us to greatly improve the client’s overall building experience. AAG Constructions is a member of the Master Builder’s Association. 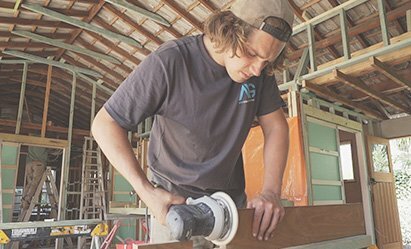 We regularly attend seminars provided by the Master Builders which ensures we are well informed on the latest building techniques & materials and engage in regular and ongoing professional development. Dont forget about the environment! At AAG Constructions, we care about the environment! Adam is mindful of the damage that the construction industry can have on the environment and strives to use sustainable and eco-friendly work practices. We also place great importance on creating a healthy work environment, both physically and emotionally, which is ultimately reflected in the end result. This is where AAG Constructions excels! Our goal is to set the benchmark for a modern workplace environment. Gone are the days of walking onto a building site full of rubbish and cigarette butts. Instead, we set the standard for the way a building site should be in order to achieve the best results. Clean & tidy! At AAG Constructions, we are setting a new standard for our trades people breaking through the barriers of old. Our building sites are non-smoking. Our apprentices and junior tradespeople are encouraged through positive reinforcement. When that environment is your home, you want to be sure it is in good hands.